South African money history changed in 1961 when the South African Pound was replaced by the Rand currency. Initially the Rand was worth more than the USD but has dropped some 15 times in value over the last 50 + years. More importantly from a collectors stand point the South African Rand is a highly desired currency among collectors. 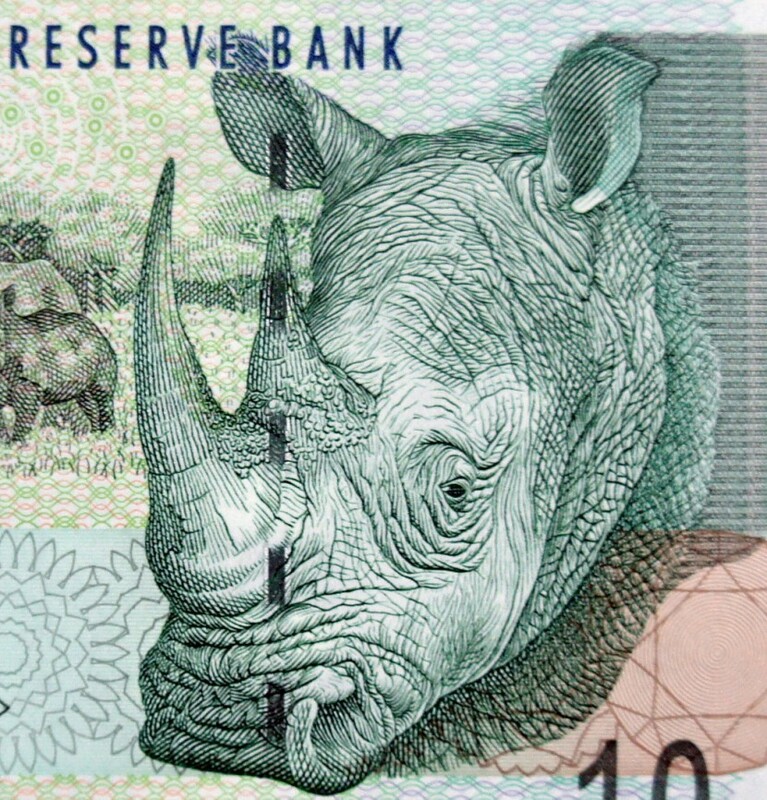 The 2009 South African 10 Rand Rhino front banknote is part of the fourth issue of the Rand Currency. The Rhino front is part of the “big 5 series” that uses large animal images (Rhinoceros, Elephant, Lion, Buffalo, and Leopard). The 2009 series was replaced in 2012 by a Nelson Mandela front image series. A smaller sized banknote (12.8 cm x 7 cm) but big among collectors the 2009 10 Rand Rhino banknote is a must for any collection. Read more about the Rand currency here. Buy this and other collectible banknotes in my store! Banknotes are more than just money. A country’s currency reflects the history and culture of that area. In an age of Bitcoin and digital currency actual printing of banknotes is rare. Old money can be considered small investments and enjoyable collectibles!